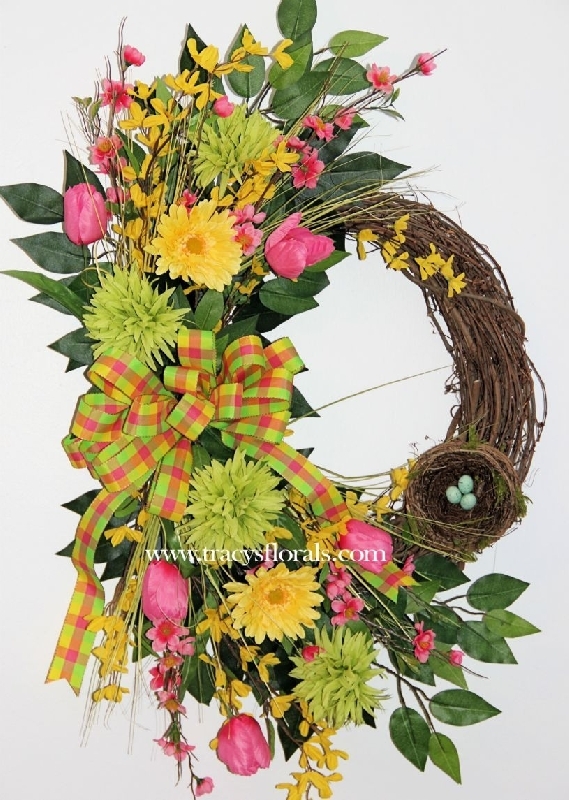 Brighten your Spring with our Lime Sorbet Wreath. 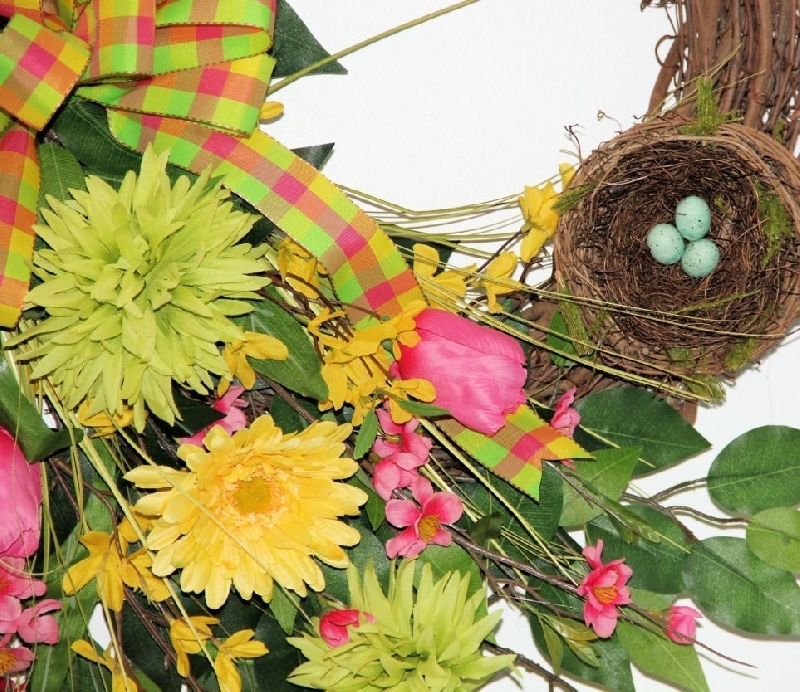 Cheerful lime blooms surrounded by yellow daisies, pink tulips, yellow forsythia, pink cherry blossoms, ficus leaves, grasses, and a sweet birdnest with eggs. 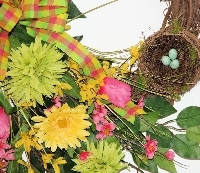 Wire edge pink, green, and yellow check bow. 30" tall, 8" in depth. Approx. ship time: One to three weeks.